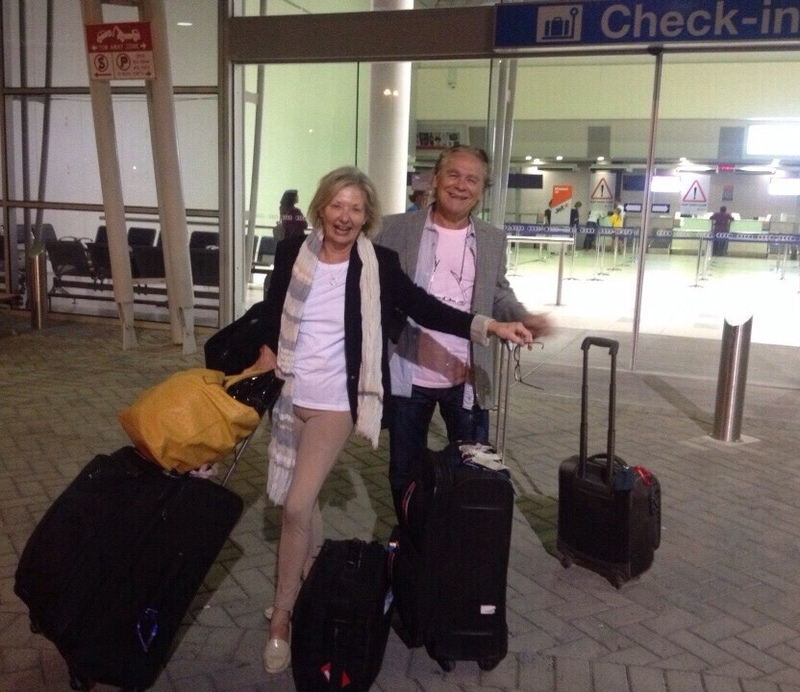 At Perth Airport, which now has 4 terminals.... wow! Eureka…. that’s a Greek word that you maybe didn’t know was Greek, made famous by Archimedes while in his girlfriends bath. But what’s that got to do with our arrival in Athens? 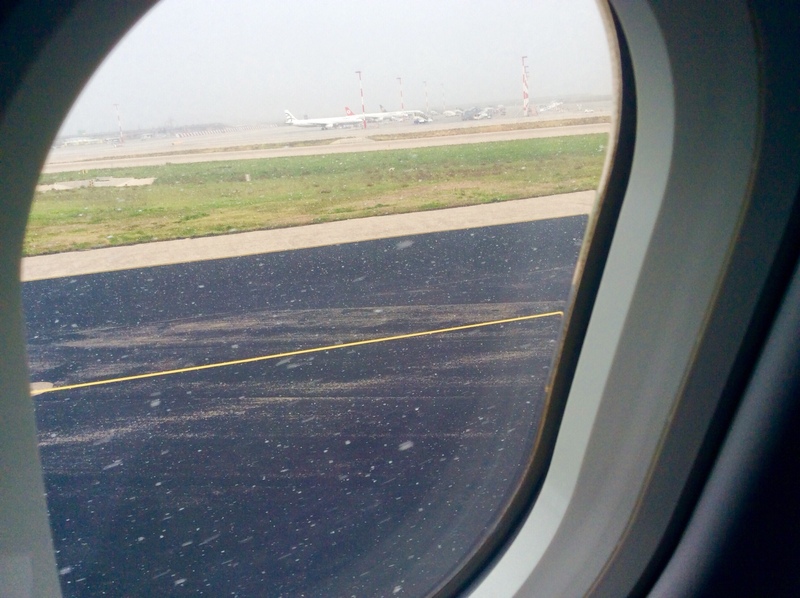 Well for me, as our Qatar Airlines flight was coming in to land at Elefterios Venezelos International Airport, it was snowing like hell…( does it even snow in hell, I doubt it) and suddenly it was my ‘Eureka Moment’. In all the times I’d been coming to Athens, I never realised it could actually snow here…..or that it could be so cold ( as hell?) Fourty-one years ago in summertime and Yineka-Mou and I were making our very first trip to this ancient City, and it was as hot as, well, as hell. What puzzled me at the time was why there were so many fur shops…. shops selling very expensive fur coats and leather coats. Who could their customers possibly be, surely not Athenians….. maybe visitors from Russia…or Norway…. or, I dont know, Iceland. It just seemed so incongruous to me. Now fast forward to the present, and at eleven in the morning our plane touches down in a flurry of snow at Athens airport…. Eureka….it suddenly dawns on me….. and answers the puzzle I’d be trying to figure out for all those 41 years….. it’s get cold in the winter in Greece… very cold….brass monkey cold…. fur coat cold. Ok I admit it…. I’d succumbed to pressure from friends….and offspring ….to say nothing of YM…..to make the most of what little ( by comparison) time I have left on this little planet …hang on a sec, I’m not even sick, I dont take drugs, I’m in the best of health, what’s the hurry mate…. but there we were,, boarding our overnight Qatar flight to Athens , and travelling in the front of the plane for a change….for the dubious privilege of arriving at our destination half a second and 30 metres before those poor passengers in cattle class…… and I’d paid 3 times as much as they did.But we did get to disembark before them…. we were actually first off….tht’s gotta be worth something, right….and so had a very good chance to get to the Greek Immigration and Passport Control counters before everyone else did. Everyone else that is except for most of the passengers off the plane from China that had arrived an hour earlier. Having experienced the chaos that passes for normal at Athens passport control, I have to concede that there have been some minor improvements since my last trip 18 months ago. 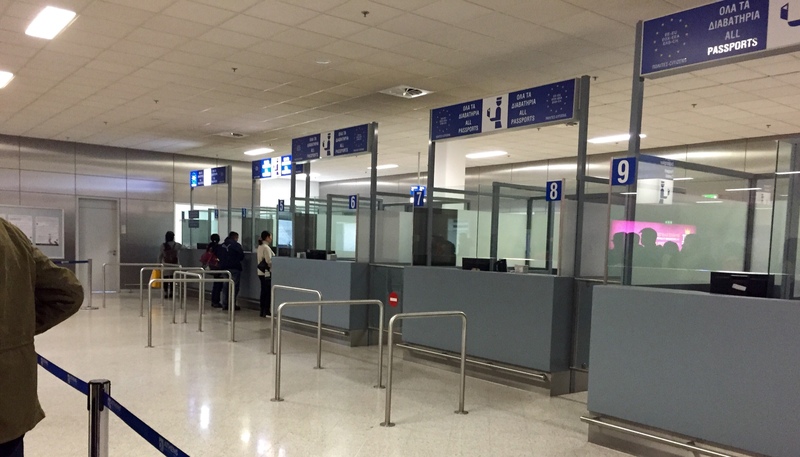 As an example, the authorities have invested in some ‘sheep runs’ in the passport control area…. you know, those crowd control queuing ropes that go back and forth, and make you believe that the queue is shorter than it really is. Progress indeed, but so ‘un-Greek’ like….. in the past, everyone just pushed and shoved to get to one of the manned desks. Anyway, after Yineka-mou and I had scurried off the plane to get a head start on our fellow passengers at the passport control, we find at least half a plane load of Chinese people still waiting ahead of us. Out of the twelve checkpoints, only three of the were manned! 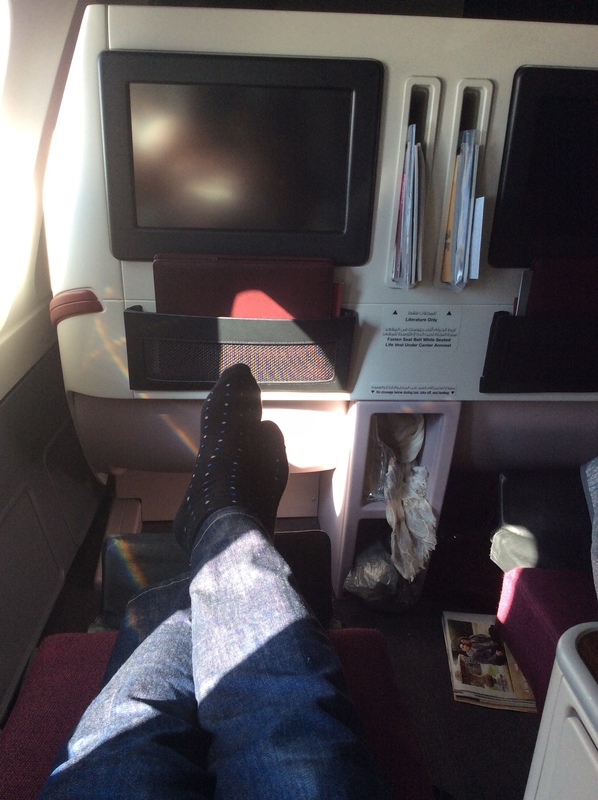 And one of these was for EEC passport holders only…. so two desks only open for 400 or more foreigners….. is this due to the ‘Austerity Measures’ that Angela Merkel has enforced on the Greeks…. or is it just ‘business as usual’. We arrived at our destination at about 12;30 pm, in just over 30 minutes…. 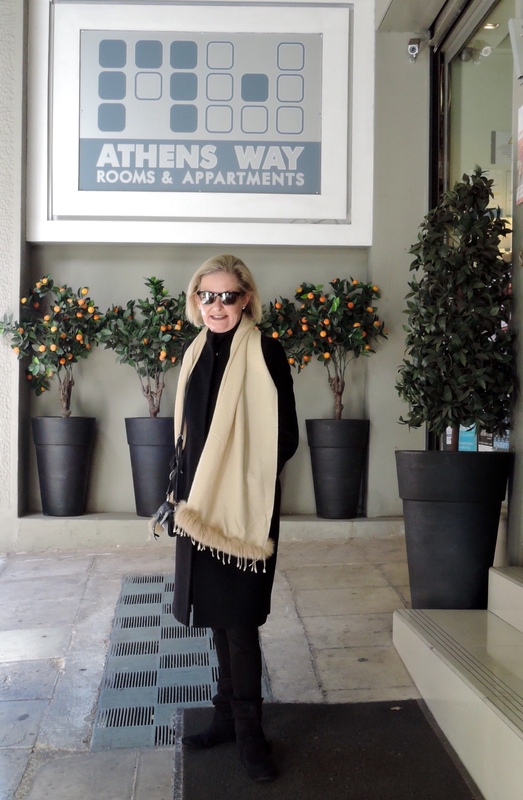 the Athens Way Hotel, 7 Ippkratis Street, on the edge of ‘edgy’ Exarchia, in central Athens. We usually stay at the ‘Fresh’ hotel near the meat and fish markets, but felt I needed a change of district, as I know that area too well. And despite Exharchia’s (unwarranted?) bad reputation as ‘anarchist central’ , it has many really good restaurants and bars…. and the most imaginative and politically motivated ‘graffiti’ ( another greek word you didn’t know you knew! ) in a city that is saturated in the stuff. After a quick shower and change in our ‘apartment’ style room…. not as large as the internet photos would suggest ( ultra wide angle lens? ), but quite adequate for our two nights stay…. we head up to the 6th floor ‘cocktail’ lounge and bar. Wonderful views of the surrounding districts from up there, including Lykavitos Hill and the snow capped mountains beyond. I have arranged to meet our friend Nick, who we haven’t seen since the time in the ’70’s when we all were crew together on the SS Australis. Nick was a ‘Third Engineer’ officer onboard and a great bloke who we shared a lot of fun times with. I give him a quick phone call, and about an hour later Nick turns up at the bar….. we have a lot to talk about and catch up on, and YM has a LOT of questions to ask of him ( we are still friends with his ‘ex’ fro back then). Later that afternoon, after giving the ‘Cocktail Bar’ a bit of a bashing, we all end up at Taverna Rozalia at the bottom of Valtetsiou street near ‘Platia Exarchion’ ( Exarchia Square)…… a very popular local taverna. They has sold out ( they said) of the roast lamb, and sorry, no goat left either, so we ended up with roast red veal, Dolmades, and Patates Tiganites ( chips to you!) plus the obligatory Koriatiki Salata ( Greek Salad)…. delicious, but by this time I could have had a Hungry Jacks burger and been almost as happy, as the combination of Mythos beer, Thesloniki wine and Mitelini Ouzo was kicking in nicely…. 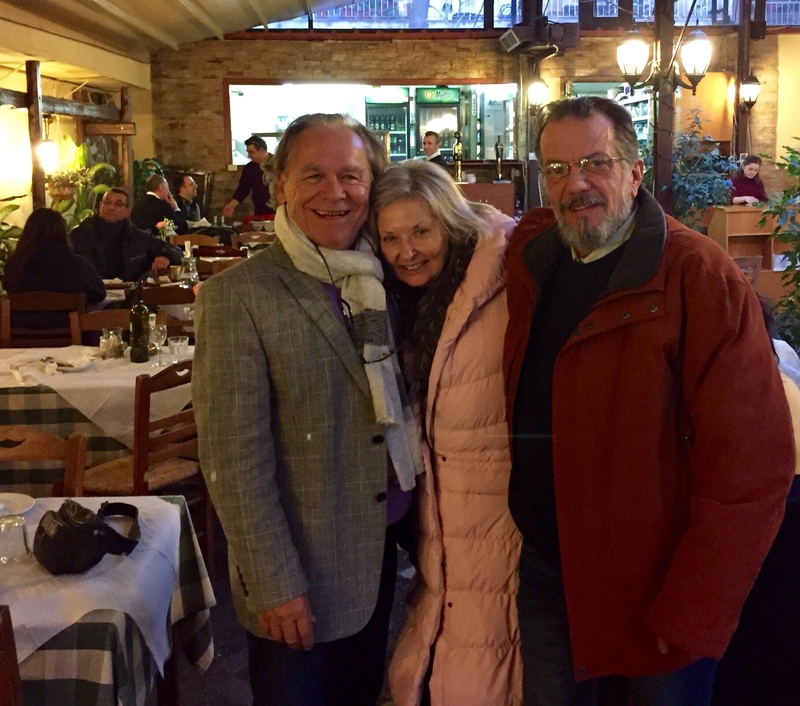 Sounds and looks like a great start but snow in Athens is remarkable….another first for TT and LL,enjoy the fun travel safely see you very soon.